Before I get to the actual content, I want to apologize for the delay in posting this review. For those who aren’t aware, my home state recently got hit by what the Governor called the worst flooding we have seen in half a century. Over fifty counties declared states of emergency, ice floes the size of cars wreaked havoc on bridges and infrastructure, and the storms displaced entire cities. Thankfully, the tiny town I live in was left relatively unscathed aside from a bit of standing water in the local drainage ditches. One of the best things about living in America’s Heartland is the sense of community shown by the general populace. We’re no different than any other state 99% of the time but, when a crisis hits, we pull together in a way I’ve never seen outside of Nebraska. I was fortunate enough to be in a position to volunteer with the relief and recovery efforts in some of the worst parts of the state. Yes, some of the things we saw and heard were catastrophic; but the sense of community demonstrated by the volunteers and the gratitude of the people we were able to help truly showed the best of what man has to offer. With that said, let’s move on to what should have been last month’s Sips by™ review post without further delay! Fruit teas can be a bit of a mixed bag. 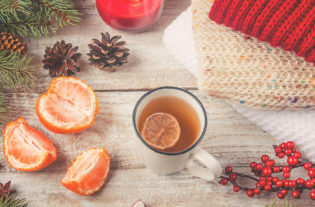 Many fruit teas are overpowering and seem fake (probably because they are); others are so weak you can hardly taste the fruit at all. It’s rare that I find a fruit tea that hits the proverbial sweet spot. 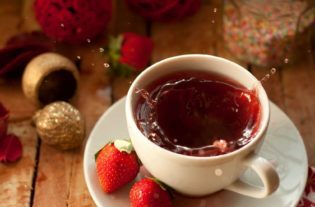 Strawberry Blend does an excellent job, as long as you are looking for a dessert tea. 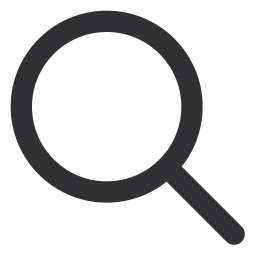 Interestingly, I can’t find a source for a company called “Tea Head” outside of Sips by™ itself; even the packaging of the sample I received contains their domain name. Conversely, I can’t find any reference on the Sips by™ website to indicate that Tea Head is an official brand or subsidiary, so I’m not sure what to think. Regardless, Strawberry Blend is an almost candied blend of elderberry, apple, black currant, blackberry, strawberry, and raspberry. Usually, the idea of a candied tea would be off-putting to me, but I gave this one a chance, and I’m glad I did! It is vaguely reminiscent of a strawberry Jolly Rancher, but not quite as tart. 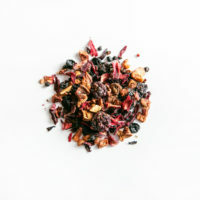 All in all, it’s a sweet, juicy blend that works beautifully as a dessert tea. I’ve always loved a good breakfast tea; in particular Earl Grey. I’ve sampled numerous varieties of Earl Grey over the years, but this one seems to shine. While I’ve had decent experiences with Davidson’s in the past, I’ll admit that I was expecting just another Earl Grey; good, but not spectacular. However, their inclusion of bergamot seems to have given this a unique almost citrusy flair that I haven’t seen before. 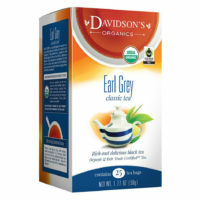 Davidson’s says that Earl Grey is one of their top sellers and, after having a chance to try it out, it’s easy to see why. My only complaint is that the sample I received was in tea bag form. Call me old-fashioned, but I’ve grown to prefer loose-leaf tea. The amount of control you get with loose-leaf is terrific, and I could have used a bit more flavor than the pre-packaged tea bags afforded. 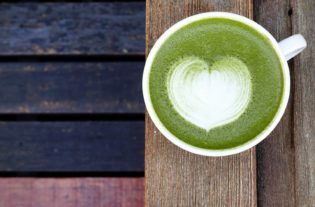 “Spicy” and “green” are two words that don’t often seem to go well together in the world of tea. 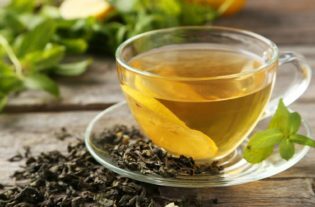 I’ve tried my share of green teas that purport to be spicy, but the vast majority don’t seem to blend well, and you end up with either a bitter green tea or they taste like you’re drinking hot sauce. Don’t get me wrong, I love my hot sauce, but I don’t want to drink it with my breakfast. 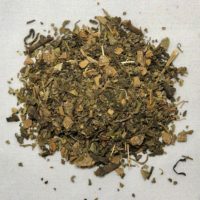 This tea takes its inspiration from cinnamon and cloves, a combination I don’t usually associate with green teas either. However, it blends remarkably well resulting in an aroma driven by cinnamon and a beautifully smooth clove flavor. In truth, I’d like it if this tea had a bit more bite to it, but it’s very close to what I would call green tea nirvana. 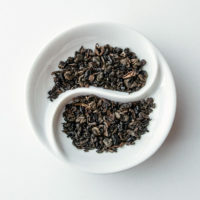 This tea, also known as “black pearls,” is a robust, smooth, aromatic tea from China’s Fujian Province. While it does have a distinctly smooth aroma, something about the flavor doesn’t sit right for me. It fits the bill for an aromatic tea, and the flavor is smooth, but I think it’s a bit too smooth. It’s billed as being “robust,” but I found the flavor a bit lacking; reminding me of a weak earl grey. Again, Black Gunpowder smells great, but the flavor doesn’t do it for me. Win some, lose some I suppose. While not every tea in this box was a huge hit, I believe that this has been one of the best overall boxes I have received to date. I may keep some of the Strawberry Blend around for special occasions, and the Spicy Green is pretty darned good, but the real winner this month is my new favorite variety of Earl Grey. Again, I apologize for the delayed post from last month, and you can expect nearly back-to-back reviews this month; four down, four to go!